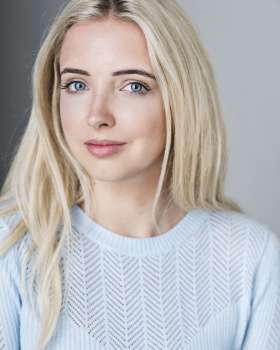 Alice is an actress and singer best known for playing regular Rae Wilson in Channel 4's HOLLYOAKS. TV credits include series regular Sara in DRIFTERS for E4 and Annie in BENIDORM for ITV. Other credits include CORONATION STREET, SHAKESPEARE & HATHAWAY, DOCTORS, BANANA, CASUALTY and STAFF ROOM. Theatre credits include the lead role of KAT in the UK tour of Son Of A Preacher Man directed by Craig Revel Horwood.